Balmi lip balms have been doing their rounds in the beauty blogging community over the past month, and I eventually succumbed to the hype. Comparable to the famous US EOS lip balms, Balmi pots are as I'd like to describe them, reversed lip balms. Rather than dipping inwards, these little balms expand outwards into a dome, making application easy and hygienic. These are definitely a winner for me - with regular lip balm pots, I always find my nails get in the way and end up with quite a bit of wastage. As a lover of the scent, I just had to pick up the coconut lip balm. I was very surprised at how natural-smelling the balm was, and I could sit here sniffing at it all day! When I picked this up, I was honestly expecting one of those awful cheap balms that slide all over your lips without any moisturising benefits at all, but in fact it's quite the opposite! I can get pretty chapped lips, and in the few days I've been using this they're back to their lovely smooth selves. 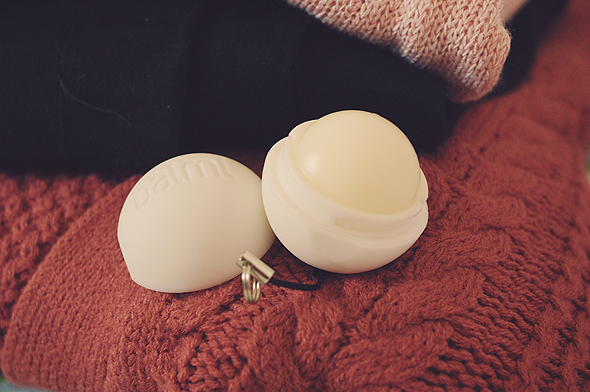 Balmi lip balms also contain SPF 15, an added bonus to an already great product. The only negative I have is in regards to the keyring attachment. I'm sure it'd float some people's boats, but not mine. It's very easy to remove, however, and has replaced all of my other lip balms as my current favourite. You can pick Balmi lip balms up for £4.99 in Boots, granted there are any left in stock! Boots are also running a 3 for 2 offer on lipcare, another excuse to pick these up! Have you tried these out yet?